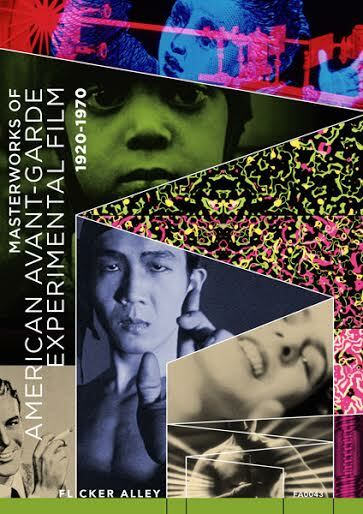 Flicker Alley and the Blackhawk Films® Collection, in cooperation with Filmmakers Showcase, premiere the newly restored collection of Masterworks of American Avant-garde Experimental Film 1920-1970 in a 4-disc Blu-ray/DVD Dual Edition. (Los Angeles, CA – July 23, 2015) – Flicker Alley and the Blackhawk Films® Collection, in collaboration with Filmmakers Showcase, are proud to present 37 films, restored to pristine high-definition, from some of the foremost experimental filmmakers of the 20th century. Please email info@flickeralley.com to request a press screener. For the full list of films in the collection, click here. Blackhawk Films® was founded in 1927 as a producer of film advertising for merchants and as a distributor of regional newsreels. The company made its mark as a nontheatrical distributor with the advent of 16mm sound film in 1933, establishing several regional offices before WWII. In 1947, Blackhawk expanded into sales of used film and soon thereafter began distributing new 8mm and 16mm prints of Laurel & Hardy comedies from Hal Roach Studios as well as titles from such other suppliers such as Fox Movietone, Killiam Shows, and National Telefilm Associates. David Shepard joined Blackhawk as Vice President (1973-1976) and after founding Film Preservation Associates in 1986, acquired the Blackhawk Films library which now comprises some 5,000 titles. Filmmakers Showcase is Bruce Posner, who works as an independent curator and programmer of film, an archivist focused on film preservation-restoration and a creative artist in film. Posner’s curatorial projects are cited as “provocative, insightful and significant to the history of motion pictures” garnering him honors from the National Society of Film Critics, Los Angeles Film Critics Association, and Boston Society of Film Critics. In 2004, he was designated a Lifetime Arts Fellow by the New Hampshire State Council for the Arts.